Hello lovely Here & Now readers! I'm so excited to be guest posting today for Jessica while she enjoys her wedding and honeymoon. For those of you who don't know me, I'm Lauren, the blogger behind Fizz and Frosting. As an expecting mommy gearing up for wedding season, I've had some difficulty with finding chic dresses that not only flatter my bump but also don't break the bank. 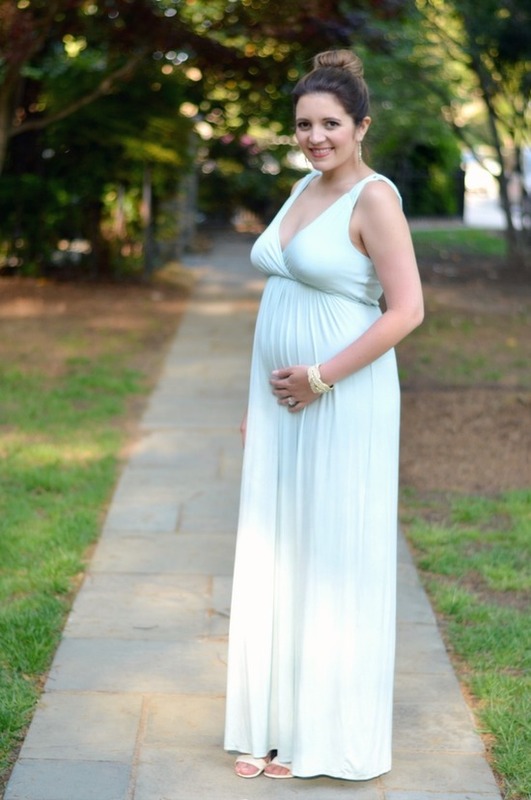 Empire waist cuts are always flattering on a pregnant figure, so I was thrilled to find this grecian-style maxi dress for under $25 at Marshalls! The best part? It doesn't scream "strictly wedding attire." 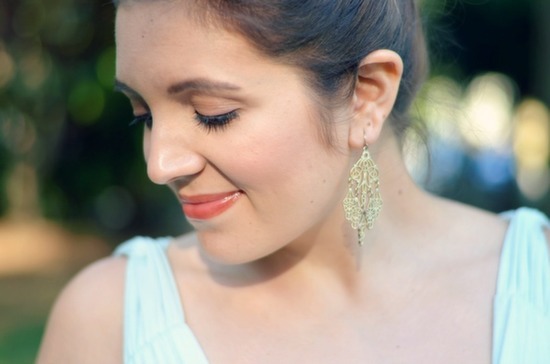 With some glitzy accessories, it dresses up perfectly for Spring and Summer weddings, but it will also be a permanent fixture in my everyday wardrobe. Want to get the look without breaking the bank? Check out my picks (under $50) below! And if you'd like to check out more maternity style, be sure to pop by Fizz and Frosting! 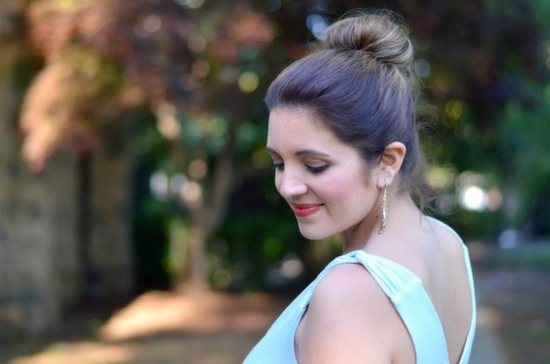 Lauren, you look so lovely–this mint color is perfect on you! Not only is this a great color on you, but those accessories are perfect for that dress! So lovely! Great color too. Happy Friday...xo!